Those of you who have been following me for a while know that I love finding repeating patterns along the tide line. 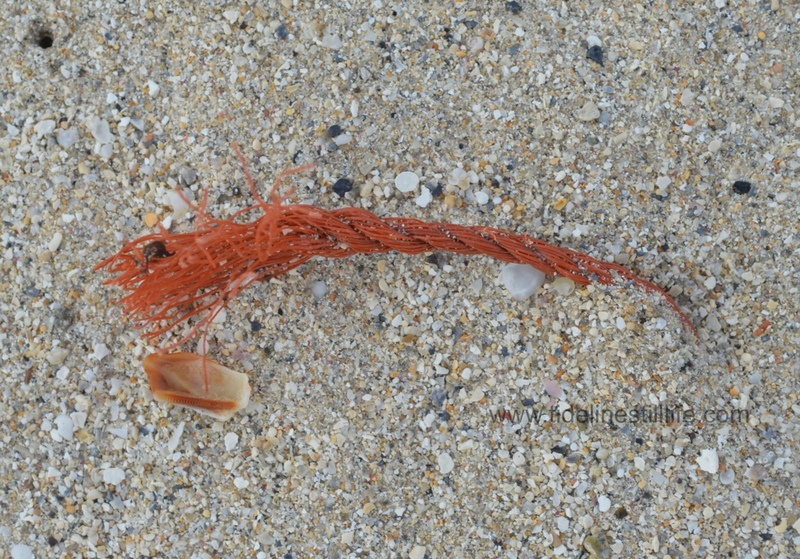 Look closely at the pattern on the shell fragment beside the nylon rope. This was hard to focus this photo because of the need to focus in closely on objects of varied distance, but I think I got it. Now . . . if we could only stop our current weather pattern from repeating!